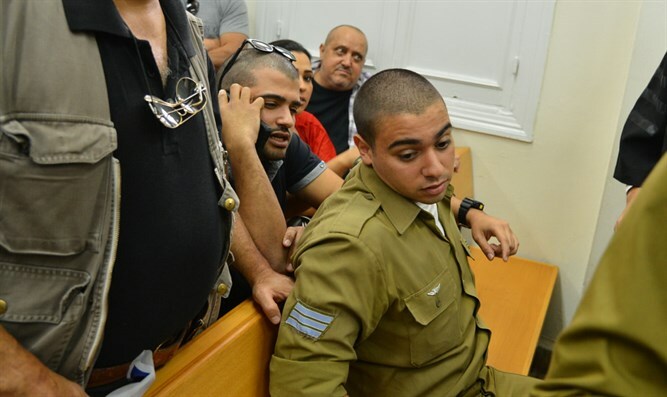 Charlie Azariya pleads with the Prime Minister to end the case against his son Elor. Charlie Azariya, the father of Elor Azariya, the soldier on trial for shooting a wounded terrorist in Hevron, begged the prime minister to close the case against his 19-year-old son. “Elor is a child. Perhaps he looks strong but he is delicate inside. I am asking the Prime Minister and the Chief of Staff: stop this nonsense, it’s really a circus,” Charlie Azariya said. Charlie is recovering from the stroke he had a month and a half ago. He is convinced that there is a connection between his poor health and his son’s trial. “I don’t know whom to turn to. I demand that an investigative committee inspect the way this case has been handled. Take the prosecutors, you don’t need to understand the law in order to understand that it has been mishandled,” he explained.